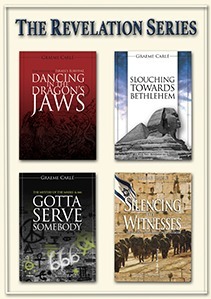 Dancing in the Dragon’s Jaws, Slouching Towards Bethlehem, Gotta Serve Somebody and Silencing the Witnesses are: The Revelation Series. These books take a very different metaphorical approach showing how Johns visions would have been understood by 1st century Jewish believers and how they are profoundly relevant for us today. See the individual book pages for a more detailed description. 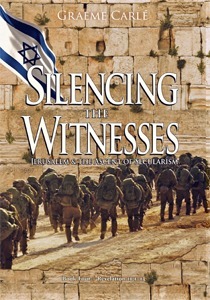 This book is a ground-breaking exposition of Revelation chapter 12 which documents the unparalleled history, purpose and future of Israel over some 4,000 years. The continuing chaos of the Middle East becomes explicable. We also find explanations of the mysterious comings of Elijah (Matt 16:10-11), the times of the Gentiles (Luke 21:24), the mystery of the partial hardening of Israel (Rom 11:25) and the recurring theme in Daniel and Revelation of “a time, times and half a time” (Dan 7:25, 12:7, Rev 12:14). Her Child - "Caught Up"
The Meaning of Ten - "To Make War with the Saints and to Overcome"
To Worship the First Beast - What is Worship? The Hidden Kingdom - What Has God Been Doing? 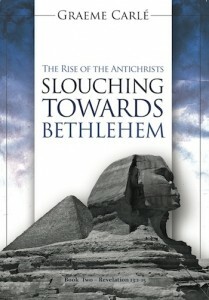 Islam - The Slouching Beast? Confused about ‘The Mark of the Beast’? 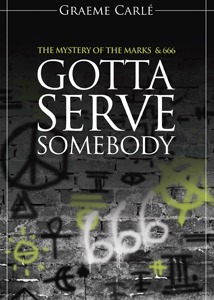 If so, you’re not alone – the mark and the number 666 have been controversial for centuries. Scholars and laymen alike have offered numerous interpretations, ‘calculations’ and wild guesses but while most predictions have failed to materialize, some say we just have to wait. 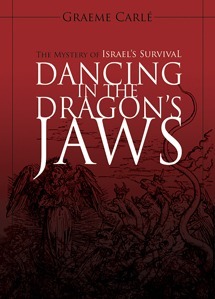 In this book, Graeme uses the keys recovered in the first two in this series (Dancing in the Dragon’s Jaws and Slouching Towards Bethlehem) to unlock the symbols and ‘times’ of the most infamous and misunderstood mark in human history. Instead of waiting for a world government and/or global banking system that may never eventuate, Graeme believes and shows that The Mark is already here — and has been for the last 2,000 years! We’ve just not recognised it. Digging into the Law of Moses, we find that this mark is actually the beast’s counterpart of marks that God Himself placed 3,500 years ago on the forehead and hand of His people, at the Exodus and in the wilderness, with a numbering system of names as described in the Book of Numbers. Graeme then shows how we have also been hampered by a simple mistranslation of Matthew 18:22. We don’t need a profound theological education or esoteric enlightenment but we do need a basic grasp of Jewish history and the Old Testament, as already understood by 1st Century Jewish believers in Jesus of Nazareth. 20th Century Thinking - Predicted Technology? Moses and Elijah back from the dead? The most popular interpretation of Revelation 11 today is literal – Moses and Elijah are soon to reappear in the streets of Jerusalem, preach for three and a half years, be killed by a metaphorical beast, i.e. a man called the Antichrist, and be resurrected again after three and a half days. The most common academic view today, however, is that these are all metaphorical images, referring to the church being persecuted initially by the Romans, today by the whole world, but ultimately vindicated. 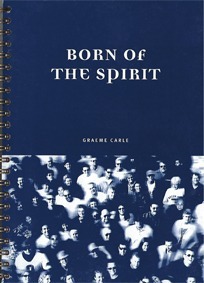 In this book, Graeme takes the metaphorical approach but from a Jewish perspective. The Early Church was, after all, led by Jewish disciples and/or Gentiles taught by Jewish disciples. He shows how the two witnesses would have been understood by John’s 1st Century audience to be the Law and the Prophets, making essential connections with Jesus’ parable of the rich man and Lazarus, and with Paul’s two Jerusalems in Galatians 4. In doing so, Graeme surveys the effects of the Law over 3,500 years of Jewish history, how it still applies to every Jew not under the New Covenant, and how it is relevant for all of us today. "My Two Witnesses" - Literal or metaphorical? The Law and Christians - What's For Us? In Sackcloth in Jerusalem - "O Jerusalem..."
Israel's Restoration - "Dem Dry Bones"